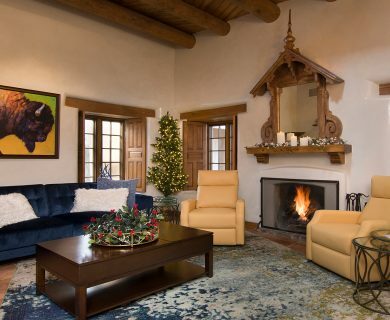 Built on a legacy of refined hospitality, AQUI Santa Fe luxury vacation rental homes offer a blend of urban sophistication and historic southwestern charm in a unique cultural style. 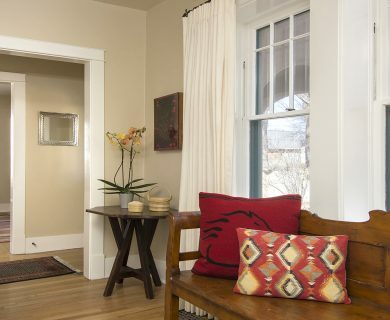 Prime locations afford short walking distances to the Plaza and surrounding arts districts while the AQUI preferred service is provided with the utmost consideration and discretion. 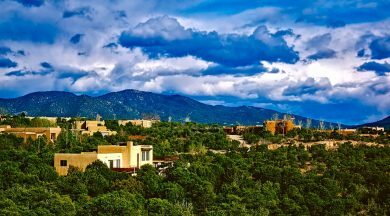 Your Santa Fe experience is my greatest concern. Whether it be freshly pressed custom Italian linens on premium beds, fully-equipped homes with modern updates, or sharing “Secret Places Locals Love” for alternative cultural, artistic, shopping and culinary ideas, AQUI assures uncomplicated luxury where peace of mind is among the many amenities. 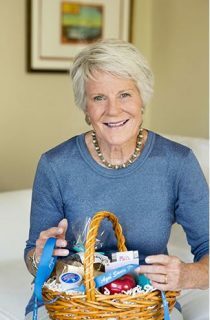 When you arrive at your chosen luxury vacation rental home, an AQUI gift basket will be waiting to give you a taste of New Mexico and a light breakfast for your first morning. 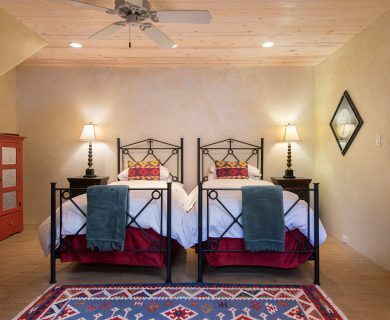 At the start of your Santa Fe vacation, owner Caroline Morgan, will meet you with the keys and give you a brief walk-through to ensure your comfort level with the house. 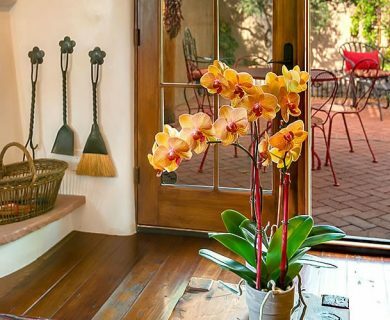 During your time in this wonderful city, the “Silent Concierge” source book at the house will give you suggestions, restaurants, things to do, shopping, galleries, and day trips and more. Also included are hiking and the oh-so-necessary grocery store map. Caroline is there for you 24/7, so if there’s anything else you need to ensure your vacation is a perfect one, simply give her a call! 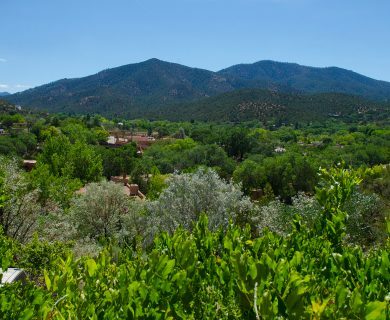 AQUI Santa Fe values your vacation time and will strive to make it one you’ll never forget. 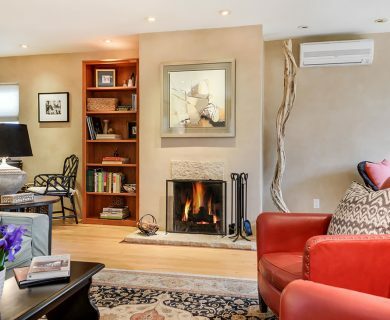 After you’ve had a wonderful time in your AQUI luxury vacation rental home and no doubt fallen in love with Santa Fe, confirm your ETD with Caroline and she will be there to close up the house and give you a fond farewell. • Are there any add-on fees in addition to the nightly rate? AQUI keeps add-on fees to a minimum. In addition to the rate, there are customary taxes and housekeeping, plus Travel Guard Insurance, if you so choose. 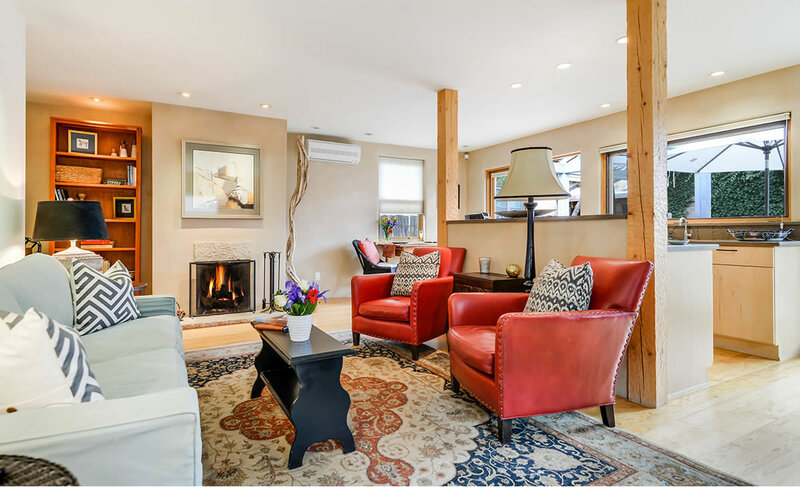 • Is our luxury vacation rental home fully equipped? 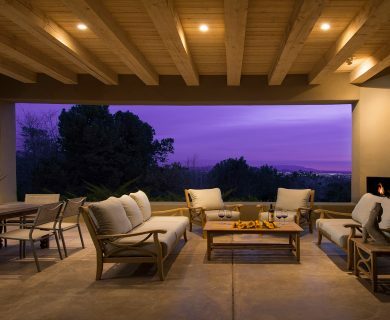 Your vacation home includes a fully equipped kitchen, designer ETRO toiletries, freshly pressed PRATESI linens, ECO Touch towels, and all the mundane but oh-so-necessary items like napkins and placemats, paper towels, tissues, tp, dish and laundry soaps, food storage bags and extras of everything. • What are the directions to the house? Two weeks prior to your arrival, you will receive directions to the house with photos of the location to help recognize your destination. • Where are your properties located? 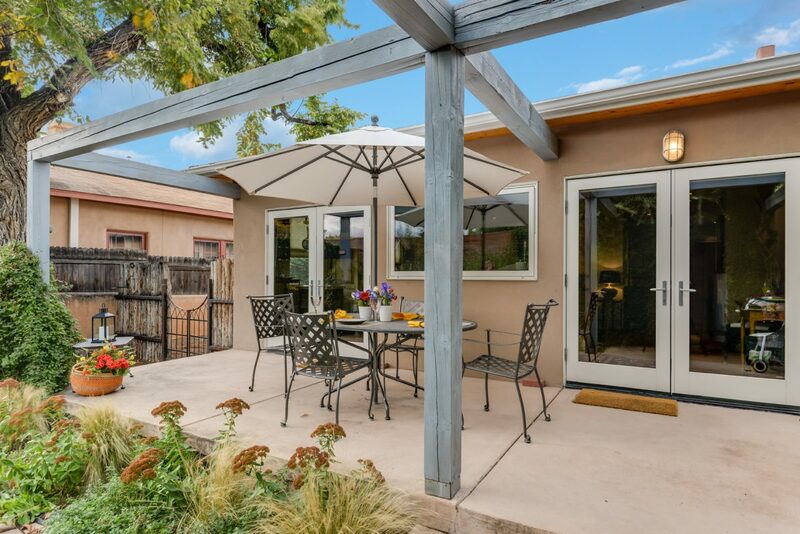 All our wonderful Santa Fe vacation homes are located very near the Plaza, making them all a great choice for someone ready to wexperience The City Different! • Do you allow pets? 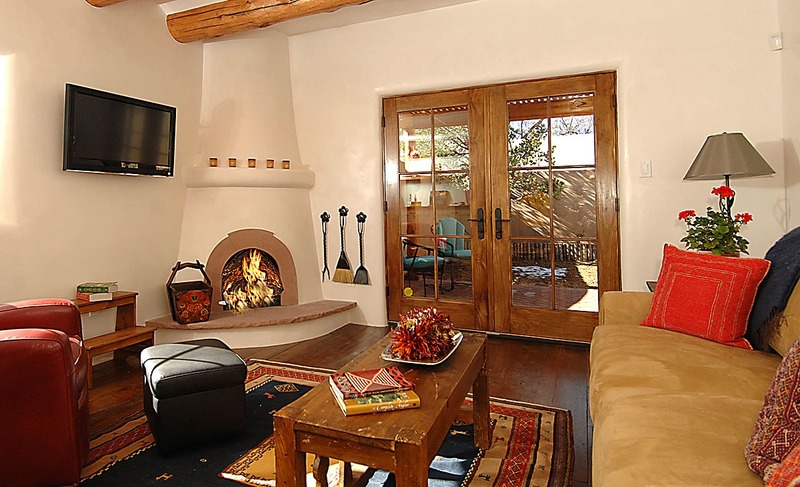 At AQUI Santa Fe, we want to be accomodating of all kinds of travelers! Take a look at which of our current properties are pet friendly. 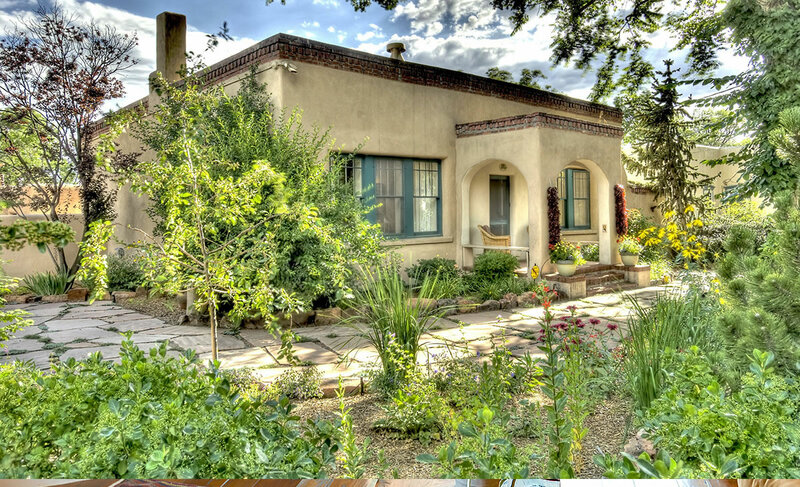 • Do you have monthly rentals available? We sure do! Take a look at our list of properties available for one month or longer. Travel Guard Insurance guarantees peace of mind by protecting against last minute health issues involving you and your family, flight delays, and other unexpected circumstances. In our busy world, plans can be disrupted by so many things. With Travel Guard Insurance, you won’t be stressed or wind up missing out on your well-earned vacation time by events out of your control. Caroline is happy to process the policy for you under a separate credit card transaction. 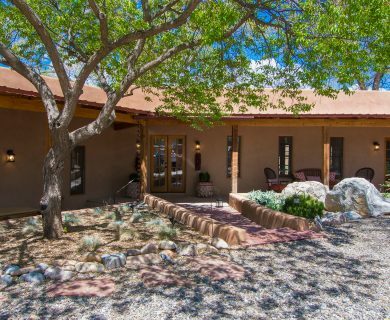 Book your luxury vacation rental in Santa Fe today and soon you’ll be embarking on the vacation of a lifetime! Make reservations by phone, text, or email. Owner and operator of AQUI Santa Fe. 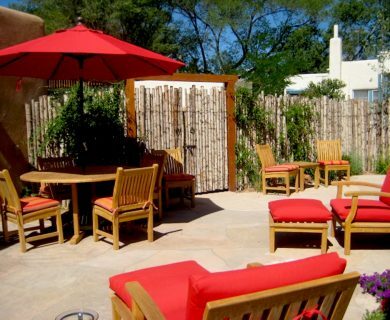 AQUI provides a personal touch you won’t find elsewhere. 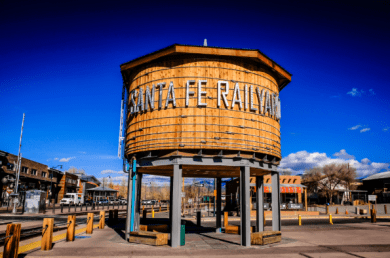 You’ll love your time in Santa Fe!